Top quality 24K Gold HDMI (19P Male to HDMI 19P Male) Cables in a variety of different cable lengths. The cables are fully sheathed with interference suppression technology and carry a lifetime and money back guarantee if you are not 100% satisfied. Available in 3M, 5M or 10M lengths!! 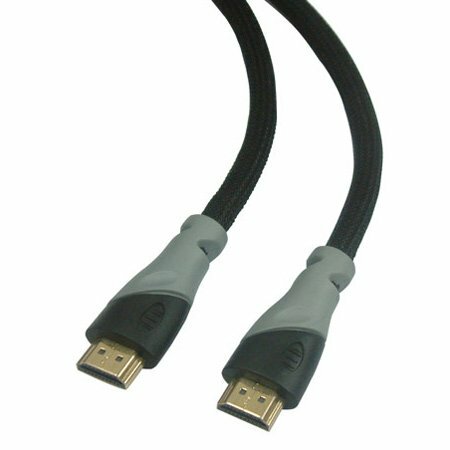 The cables comply fully with version 1.3b HDMI spec - they are High Speed, category 2 cables and used by many of our trade customers. The competitve price for these cables reflects the fact that we buy these in bulk directly from the factory in Taiwain and they are supplied in plain "poly bags" so you are not paying for expensive branding and marketing. But, you are getting a top quality cable at an excellent price.